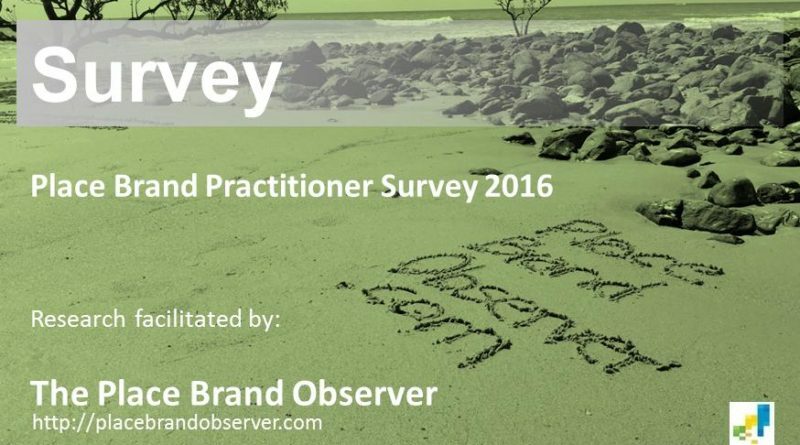 Results from our 2016 place brand practitioner survey on the current state of place branding research are in. Our thanks to the 35 practitioners who participated. Your comments and answers have helped us understand what needs to change to make place branding research more useful for your daily work. Below a summary of key insights from the survey, which ran from mid-October until early December. We specifically asked academics and researchers to not contribute to this survey, which we promoted via our website, in our biweekly newsletter, and via our Twitter, Facebook and LinkedIn accounts. To what extent does existing research on place branding meet your needs? The answer, judging from the survey responses, is that place branding research still has a long way to go to gain attention and admiration from professionals outside of academia. Two thirds of respondents indicated that place branding research only somewhat meets their needs, with only 12.5% expressing total satisfaction. One fifth of respondents don’t see their needs met by place branding research as it is today. Your thoughts on the current state of place branding research? Answers to this question were very diverse, yet revealing. One respondent finds place branding research repetitive and not moving on. Various respondents consider it still in its infancy. Another respondent would like to see a stronger focus on “the hard questions about motivations…, and the diversity of strategic objectives when it comes to place branding”. A frequent point mentioned is the lack of consensus on definitions and usage of key terms, such as brands, and the best way to measure branding success. Place branding should be an academic subject that is taught at university, with research that can serve as a foundation on which to build. Unfortunately, to date no institution offers place branding as a stand-alone, academic subject. Nor are we aware of any university with a place branding department, for example as part of a management- or communications school. In your view, which areas require more investigation? Two promising answers to this question (a question which will be particularly useful for students looking for a thesis topic) were sustainable destinations, and place branding and sustainability. Promising because they align with our editorial focus for 2017, the designated UN Year of Sustainable Tourism for Development. The question about the actual effectiveness of place branding also still requires further investigation, judging by survey responses. And so does a focus on place branding for rural regions and smaller towns (Bill Baker is an expert on the latter – author of Destination Branding for Small Cities). Country or city statistics in tourism, investment and trade aren’t enough to evaluate the success of a long term branding campaign. A new methodology for testing how a place ranks in people’s hearts, minds and indeed wallets is required. Are place branding experts really the drivers for place competitiveness and appeal – or is it external factors like changing airline connections, new events or basic facts like living costs? Lastly, more research is needed on place branding operating at the interface of digital and physical, the influence of social media on brands and – directly related – the extent to which destinations, for instance, still have control over their brand. If you missed the survey but want to contribute to this dialogue, please do so by sharing your thoughts via the comment option below. Place branding is slowly emerging as a stand-alone topic in academia, and as a meeting ground for various established and newer academic disciplines. We felt it was time to take a look at what place brand developers, managers and marketers think about the current state of academic research. The survey was developed and conducted by Florian Kaefer and Natalia Ferrer Roca of The Place Brand Observer, and Robert Govers, independent scholar, advisor, speaker and author. ← Brand China: The Chinese Dragon – Benign or Enflamed?